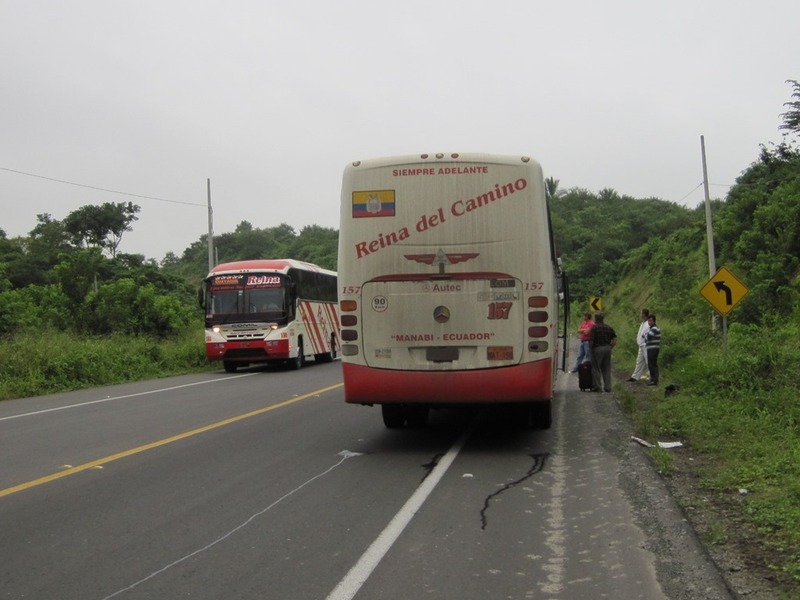 We took the overnight bus from Quito to Canoa. 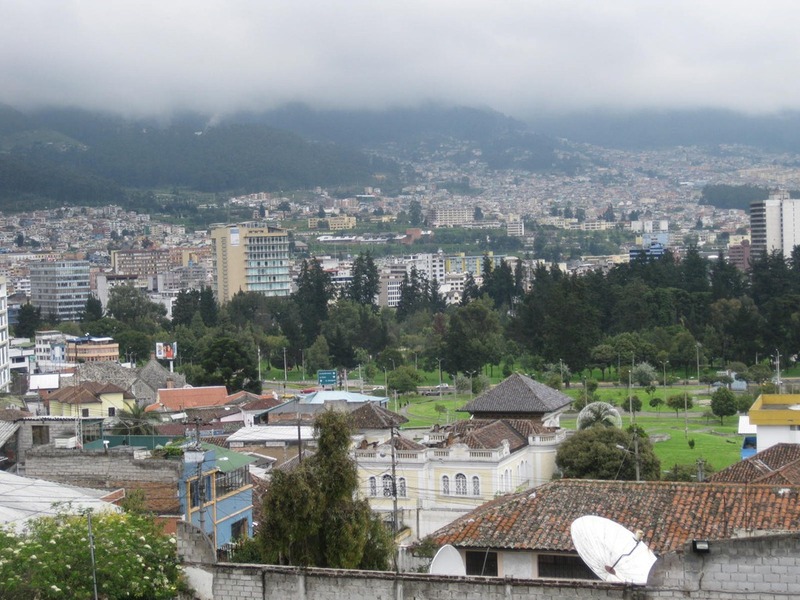 It leaves Quito at 10:45pm and is scheduled to arrive in Canoa at around 6:00am. We were a little late. Ok, the bad news first. In our prior post, we shared that our luggage didn’t make it to Quito. On Friday we went out to, among other things, visit the TACA office in Quito to see if we could get better information about the location of our luggage. They were no help, just a ticket sales office. We also took advantage of the nearby Mega-Maxi (Wal-Mart type of store) to pick up a few essential items that we no longer wanted to be without. This was about an hour walk from our hotel so we decided to take the “trole” back. This is a bus that runs its route on dedicated lanes so it doesn’t get hung up in the traffic. 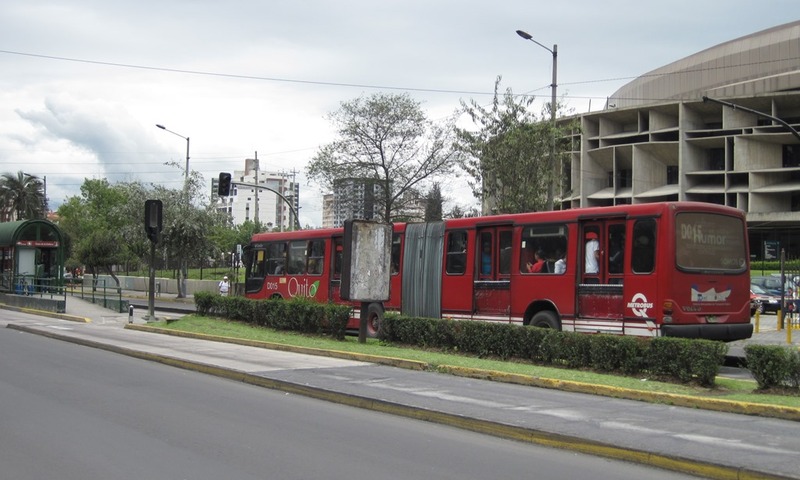 We had utilized this bus when we were in Quito two years ago. It was extremely crowded. We had to push our way on and off. Once off, we realized that Valerie’s camera was gone. Also, her shoulder bag had been cut and her English-Spanish translator was gone. OK, so it doesn’t have the same ring as “Back in the USSR”, but we’re beginning our South America trip with a return to Ecuador. We enjoyed our visit here back in 2011 and wanted to revisit, especially the Pacific coast, around the town of Canoa. However, first we had to make the trip to Quito. We’ve come full circle now back to Quito preparing for our return to the US for a bit. For the first couple of days it was cold and rainy here but since has been nicer. We met up with some new friends that we first met when we got to Quito back in December 2010. We met them at the L’Auberge Inn where we were staying. They had arrived the same day we did and were also planning to stay in Ecuador for 3 months. We talked about what sort of plans we had for our trips and we agreed to keep in touch and trade information as we went along. Changing of the guard at the Presidential palace; a “parade” consisting of a drummer on stilts and men dressed as women; a political demonstration and march in front of the Presidential palace (not sure what their protest was about); $1 desayuno (breakfast) including coffee, juice, roll with cheese and eggs; a marching band of older adults along with dancers in native costumes. 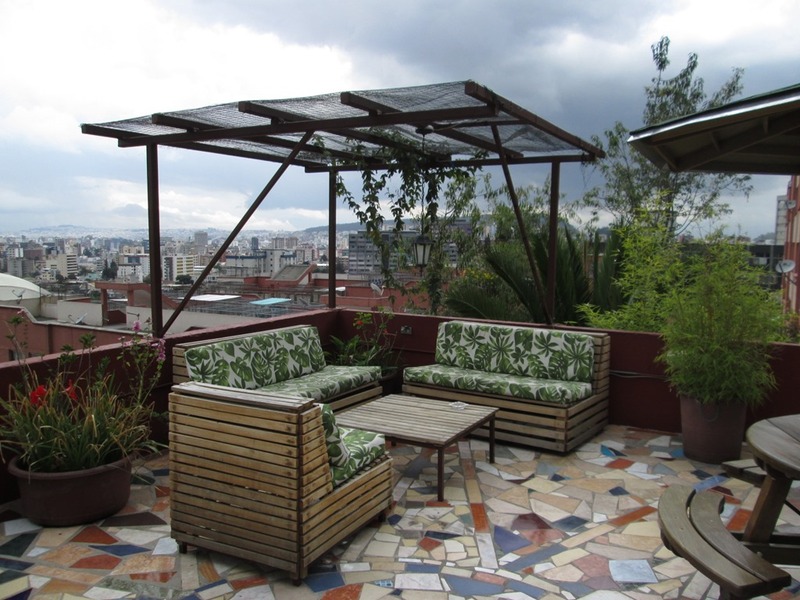 These are all part of our week in Quito. The weather has been near perfect, upper 60’s, low 70’s with occasional rain but not enough to interfere with our outdoor activity. We did a lot of walking. I mean A LOT of walking. But it’s good exercise. We took some time to shop for and book our Galapagos tour. We’ll be leaving for the Galapagos on January 20th for 8 days aboard a boat and then 5 more days on the islands after the boat tour. We’ve been getting along OK with our pitiful Spanish but we hope that will improve after our next 2 weeks in Canoa with Spanish lessons. However, we were called into service by a young Chinese girl to help her with ordering her lunch. She spoke very good English but no Spanish at all and she and the waitress were not communicating. We were able to translate enough to get what she wanted. Pretty funny considering our lack of expertise. Everybody we have encountered has been very friendly, welcoming and tolerant of our lack of language skill. The people are hard working and easy going. They appear to be very family oriented. Everywhere we went there were families out together, shopping, in the parks, eating or whatever. We’ve had good food which Valerie has photographed and really good fresh fruit: papaya, mango, watermelon, pineapple, etc. We’ve included a sample of some of the photos from the week. The New Years Eve activities were very interesting. One of the main streets, Avenida Amazona was closed to vehicle traffic for several blocks and was packed with people, many in costume. There were big displays with dolls depicting political messages or images of life in Quito. We were told that these displays were burned at midnight. There was plenty of food, of course. The closest experience I’ve ever had is West Hollywood at Halloween. A very festive fun atmosphere, again with lots of families. Tomorrow we’re off to the coast to Canoa to begin our Spanish lessons. Happy New Year! Oh, Feliz Ano Nuevo!